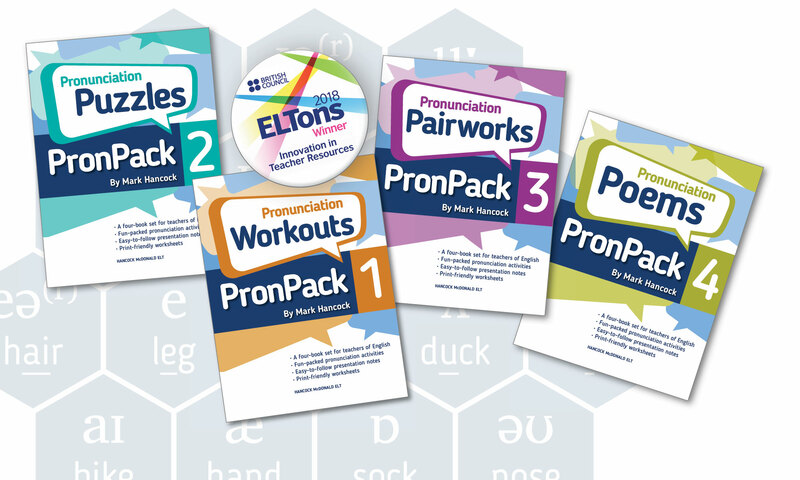 Whether you’ve bought the eBook or Paperback version or both, we hope your students will enjoy the activities in PronPack 1-4. The additional teacher resources on this website make it easy to prepare for class with print-friendly posters, worksheets, downloadable audio files, presentation slides and more. Check out the six downloadable poster-sized versions of the PronPack Sound Chart for your classroom. Click on the appropriate cover below to access the teacher resources for your book.